K-8 $19.95/month, each additional student $14.95/month. 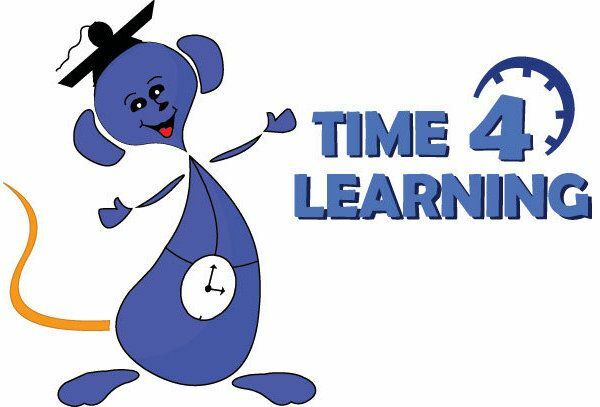 Time4Learning is an award-winning, automated, web-based learning system that provides interactive education to students in grades preschool - high school. Students can use it as a complete or supplemental homeschool curriculum, as an after school program, or as a summer school program. Some of the facts about Time4Learning. You get a child learning. We got such immediate assistance anytime I asked for help with something. I found that quite impressive. It was good to see how much my son could learn. One day we learned about measurements and he was running around looking for things to measure. And you do get the option to print some lessons out to do them. This caused my lad to grin. The lessons are short, one lesson feeds into the next. I could say "son, I want you to do three lessons today" and he would simply work across until he completed them. Sometimes he was so interested that he simply kept going, but having the lessons short meant that when he wanted to go feed his bugs or take a break he could do so easily. 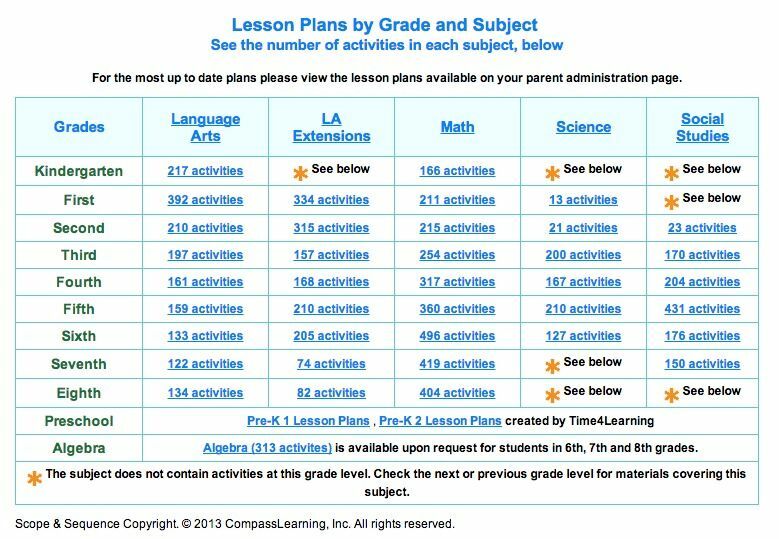 From the ease of login for the student, to the variety of lesson plans (see below) this is a comprehensive program for children of a variety of ages. They use a variety of characters and methods of teaching. Some pages are animated, others are straight reading, quizzes, tests, affirmation when correct and removal of wrong answers when incorrect. Parental reports and so much more. I can't think of a whole lot this program doesn't have. It is well done. We really liked the LA extensions because they covered language while combining the learning with the different subject areas. Look mom look, I'm almost at the line. LOOK! I loved how, for doing lessons, when you were completed it would show a check mark over the area that was finished. it was a good indicator for my son and a quick visual for me to know when he completed what I asked of him. see how you get a checkmark for where you completed a task? it is a program that you can use as is, but I plan to continue to use Time4Learning as a supplemental program, where I can plug my boy on to do his language arts in a different way, and to pick up on some science type things that it can do in an easier or different way that I can. Variety is the spice of life you know. :) This is a good program that will fit well into how you do your schooling, either as a comprehensive program, or as a supplement. If you'd like, you can try a personalized Time4Learning demo. Time4Learning was reviewed by a group of people from the Schoolhouse review crew. There are some amazing reviews. 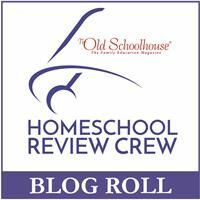 You can click to read more reviews from the Schoolhouse Review Crew or click on the link below. I've never tried them because of the cost for all 3 of my children but it looks like a great program to use! I love it when my kids enjoy learning and don't really realize that it's happening! This looks like a neat program. I have one that loves the computer and might do well with it. I will have to check it out. Thanks for the thorough review. I love the printouts, too. I love that you can add them to your portfolio for the end of the year evaluations. Great review.